In a bid to corner its niche market, this chicken rice joint has been building stores at a furious pace. The Hainanese style of cooking is far more common in Malaysia, Thailand, and Singapore where the chicken is usually boiled in chicken and pork stock and a flavorful chicken stock is used to create the accompanying rice. This style is not so common here, where deep-frying chicken or cooking it with a base of oil (as in tinola) or tomato sauce (afritada) are more popular. Curiously, a former medical technologist with a passion for cooking is responsible for boosting the local Hainanese craze to Pinoy palates. Pierre Ching, 39, worked for two years in Japan as a chef with no formal schooling in cooking at all, merely relying on self-study, the quality of his dishes, and grabbing an opportunity when it presented itself. Now, as proprietor of Hainanese Delights, he has crashed into the food business and hasn’t looked back. 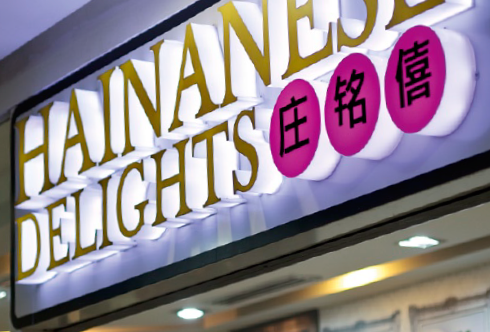 P3.5 million for the first Hainanese Delights branch at Quezon City’s Robinson’s Galleria, which opened in February 2011. Investors, bank loans, and capital infusion from other sources financed the succeeding branches. The entire investment for the first branch was recovered within the year. Socioeconomic classes B and C. “Mahirap ligawan ang A market segment, and there are so few of them,” says Ching. 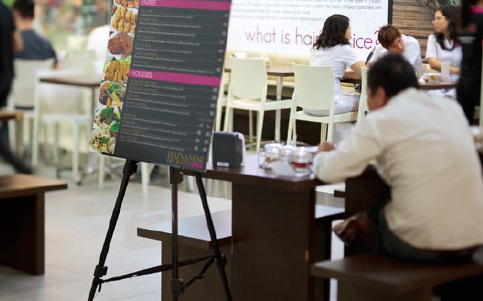 Semi-fine dining restaurants serving Hainanese chicken. Menu items go from P99 to P140. One can expect to spend at least P99 for a full meal with iced tea. Moving fast and furious, 25 outlets have been established in SM, Robinsons, and other malls nationwide to date. “We need to overtake the competition and monopolize this niche market.” Ching previously planned to slow down after establishing the chain’s 20th branch to focus on strengthening business operations. 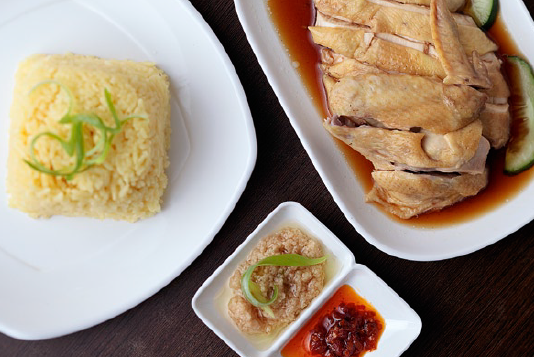 Diners get unlimited Hainanese rice. The first serving is two small scoops of rice. Those who want more get as much as they can finish.